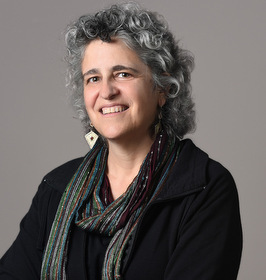 CCNY's Andrea Weiss, an award-winning filmmaker, will talk on the erasure and denial of LGBT history in post-Franco Spain in the next edition of the College's "Presidential Conversations," March 19. For her next project, City College of New York ProfessorAndrea Weiss ramps up the activism that’s been her hallmark as an Emmy Award-winning filmmaker. In “Bones of Contention,” whose research is funded by her 2014 Fulbright Scholars award, Dr. Weiss focuses on the erasure and denial of LGBT history in post-Franco Spain. The documentary is the subject of her talk in the next edition of City College’s “Presidential Conversations: Activism, Scholarship, and Engagement” series Thursday, March 19, 4 – 5: 30 p.m. “Bones of Contention,” the talk, will be held in CCNY’sBernard and Anne Spitzer School of Architecture’s Spitzer Auditorium. “Bones” the film aims to do just that. It explores the theme of historical memory in Spain with emphasis on the tragic experiences of the LGBT community there. Many were killed during the dictatorial reign of General Francisco Franco (1939-1975) and after his demise, their story was essentially erased -- until now. "You can't remember what you never knew, especially when access to that knowledge has been actively suppressed," noted Weiss. She will screen clips from “Bones” during her “Presidential Conversations” talk. Weiss will travel to Spain at the end of the spring semester to continue work on the project as a Fulbright Scholar. “Presidential Conversations” feature City College faculty members in conversation with CCNY President Lisa S. Coico and audience members about activism, scholarship and engagement. Since 1847, The City College of New York has provided low-cost, high-quality education for New Yorkers in a wide variety of disciplines. More than 16,000 students pursue undergraduate and graduate degrees in: the College of Liberal Arts and Sciences; the Bernard and Anne Spitzer School of Architecture; the School of Education; the Grove School of Engineering; the Sophie Davis School of Biomedical Education, and the Colin Powell School for Civic and Global Leadership. U.S. News, Princeton Review and Forbes all rank City College among the best colleges and universities in the United States.